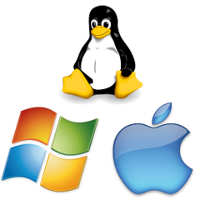 No matter the OS you are using, Linux will be the OS of the server that will run it in production. Clicking on “Run” in your IDE doesn't means it works. You need to build it as a jar and verify it is really workingin any environment. Git is a code versioning tool that allows you to save the changes in your code. Uploading it on GitLab to store it in a safe place and allow you to easily share your code. We are using the LIRMM GitLab to keep track of the code produced in the Advanse team. To do this connect to the LIRMM GitLab using your LDAP credentials. And add you project to the advanse group. You need to notice me to get the permission to post to this group (it is quick). More easier to download new libraries and more stable. You can deploy your jar on the central repository. It brings better reusability and visibility to your work. It is appreciated by your jury thesis! Most IDEs allows you to create a new Maven project with the good file tree. Create Unit tests for your classes. It makes the code more stable by tracking broken functions after a change. Choosing the technologies for a project is an important part of the process. And keep in mind that sometimes a script language (like python or ruby) can be more interesting than a compiled language like Java. For little projects it is lighter, easier and faster to use.